“The sky above the port was the color of television, tuned to a dead channel”. Neuromancer, William Gibson. 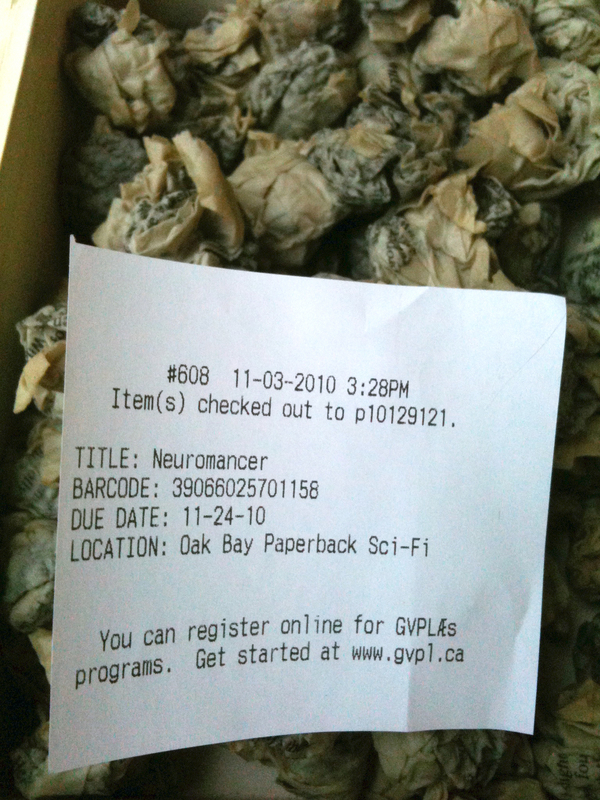 “I knew that it (Neuromancer) was to be published, if I could finish it and if the editor accepted the manuscript, both of which seemed constantly unlikely, as a paperback original-that most ephemeral of literary units, a pocket-sized slab of prose meant to fit a standard wire rack, printed on high-acid paper and visibly yearning to return to the crude pulp which it had been pressed.” Introduction to the 20th anniversary edition of Neuromancer, William Gibson. 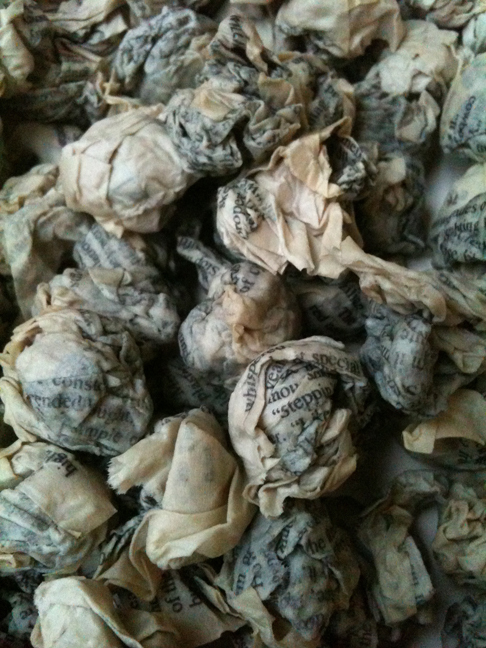 Your Words My Mouth, Teeth, encoded text, pulp secretions, chemical tongue, cut lips. 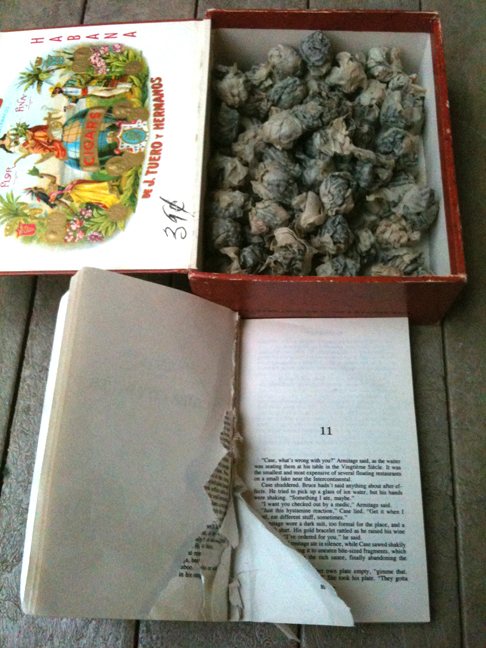 Masticated Neuormancer paperback. Open Actions Performance Collective. Public Library Main Branch, Victoria BC. November 20, 2010, 1 hour duration.